Hello there! Wow it's been a very long time since my last post. I missed doing this and sharing my creations. Even though I have not blogged, I have been creating little projects here and there :) Here's a Baby Card I made for a Baby Shower. I love how it turned out! 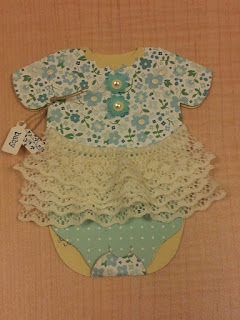 I used the retired Sizzix Bigz XL Onesie Card Die, patterned paper some lace and there... I love the way it turned out. I have been creating more with my Sizzix dies, I own many of them and most are retired , but I call them my treasure :) Hope this inspires you to create and hopefully I will have more projects for you soon. Thank you for your comment. They always put a smile on my face! Don't forget to include your blog address so that I can also visit you. Thank you again! 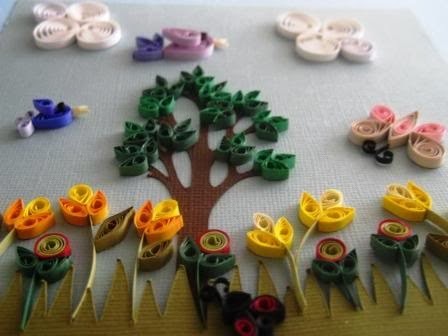 Subscribe via email to"My Quilling Nest"
All content including text and pictures are © Linda Krieg. Unless otherwise indicated, some stamped images are © Stampin’ Up!®. The projects shown are for your personal inspiration and may not be copied for publication or contest submission. Thank you!